I decided to go for a rather high key look, with burnt out pale shades, warm colours and dominant whites – producing a fresh feel that is very cutting edge and contemporary. I also opted for a dreamy look with beautiful ‘bokeh’ (out of focus areas) and flare. All the shots were backlit as it gives softer tones on the skin and adds vitality and energy to the imagery. 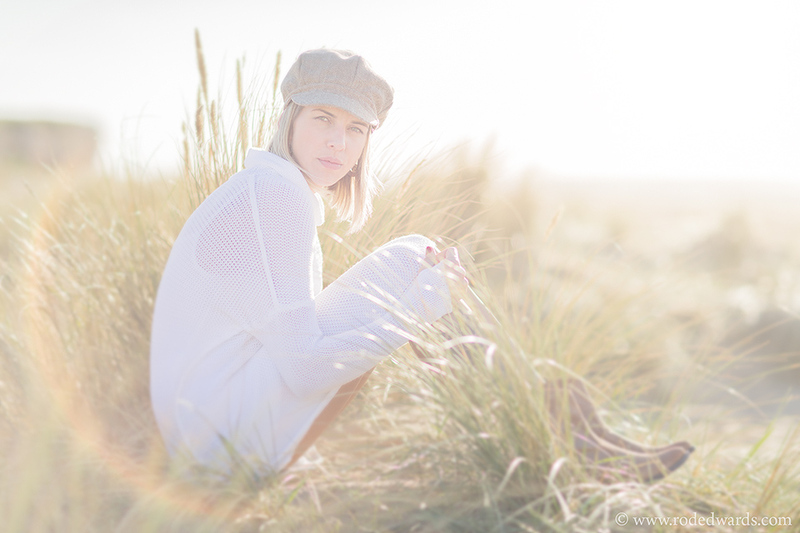 The shoot was styled and art directed by myself, and shot on a lovely (almost) deserted beach in Norfolk with the naturally beautiful model Erika.